Uefa's decision to rank Europe's eight strongest champions as the top seeds was always going to create an imbalance and Spartak Moscow are easily the weakest of the teams in pot one. Spartak, the surprise Russian champions, have a coefficient similar to Azerbaijani minnows Qarabag and are already off the early pace this season with league defeats to title rivals Zenit (5-1) and CSKA Moscow (2-1). It's a long way from last season's ruthless success under Italian Massimo Carrera, the man who was assistant to Antonio Conte in their triumphant time together in Turin with Juventus. Carrera concentrates on defensive organisation and speedy counter-attacks through their best player Quincy Promes, who remains in Russia despite interest from wealthier western European clubs. Wing-wizard Promes is Spartak's best and, some may argue, only hope of making an impact in the Champions League, although that is possibly unfair on January arrivals Aleksandr Samedov and Luiz Adriano. Young Brazilian Pedro Rocha and Chelsea's Mario Pasalic were the notable summer signings but it's unlikely to be enough. Europa League kings Sevilla were inches away from returning to that competition in qualifying but should be confident of making the most of their reprieve to reach the Champions League knockout stages. Had Emre's effort not hit the woodwork at the death then Istanbul Basaksehir would have progressed after a dramatic tie that saw Sevilla progress 4-3 on aggregate. It's logical to expect a certain amount of improvement to come from the Spanish side as the season progresses given the changes they have made over the summer. Ace sporting director Monchi moved to Roma to be replaced by former right-hand man Oscar Arias and unique coach Jorge Sampaoli departed for Argentina with Eduardo Berizzo coming in. Key man Vitolo left for Atletico in controversial circumstances which should ensure he won't ever be welcomed again at the Sanchez Pizjuan. In time Luis Muriel, Simon Kjaer, Nolito, Jesus Navas and the returning Ever Banega should ensure Arias's first window of recruitment is a success and matching last season's last-16 effort is a realistic aim. In Istanbul they won it five times, but a new song is unlikely to be needed for Liverpool's supporters as they go in search of a sixth European Cup success in this year's final in Kiev. However, you've got to be in it to win it and having won clutch clashes at the end of last season to finish fourth, Jurgen Klopp's men once again rose to the challenge of a pressure situation by dismantling dangerous Hoffenheim in the playoffs. 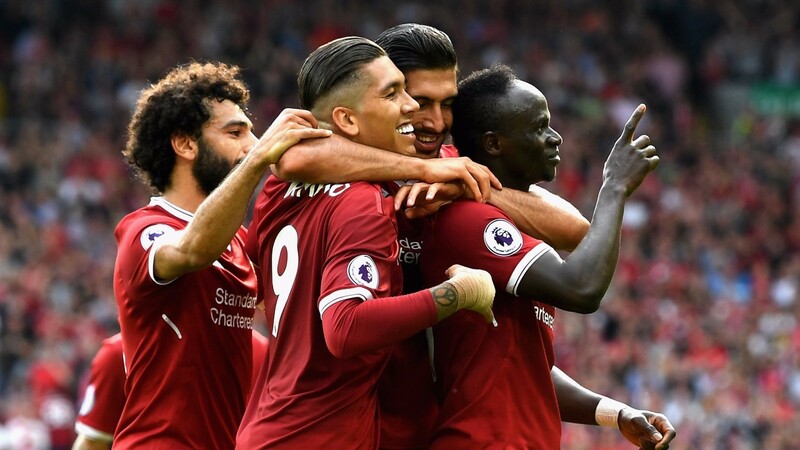 That 6-3 aggregate victory highlighted the strengths of this Liverpool side with the front three of Roberto Firmino flanked by Sadio Mane and new recruit Mohamed Salah destroying the Germans. And Hoffenheim won't be the only ones to suffer this season. Philippe Coutinho will presumably be integrated back into the squad after being denied a dream transfer to Barcelona and nobody will relish a trip to Anfield with the Brazilian pulling the strings behind that blistering front three. But defensively the Reds are likely to come a cropper at times, as Saturday's 5-0 defeat to Manchester City showed. The mercurial but temperamental Zlatko Zahovic did not scream out as boardroom material and somebody who would make a major impact behind the scenes but Maribor's rise can be pinpointed to his arrival as sporting director in 2007. Zahovic is pulling the strings just like he did when playing for Slovenia and Maribor have won six of their last seven domestic titles, and returned to the Champions League after last reaching this stage in 2014. The journey is set to end here but the Slovenians are already punching above their weight having won three qualifying ties against Zrinjski, Iceland's FH and Hapoel Beer Sheva to get this far. Worryingly in terms of competing at this level Maribor lost the shots-on-target count 12-6 against Israeli's Beer Sheva and 9-5 against Bosnia's Zrinjski.